The difference between good skin and great skin comes down to the very basics of skincare; your cleansing routine. If a quick once-over with a facewipe (drying, ineffective and simply moves dirt around the face rather than lifting it away) is your definition of a cleansing routine, it’s time for you to reassess your approach. Instead, the focus should be on a pore-deep, super-sonic, double-cleansing routine that wicks away every speck of sebum, makeup and daily build-up, leaving skin squeaky clean and more receptive to anything that you apply afterwards. 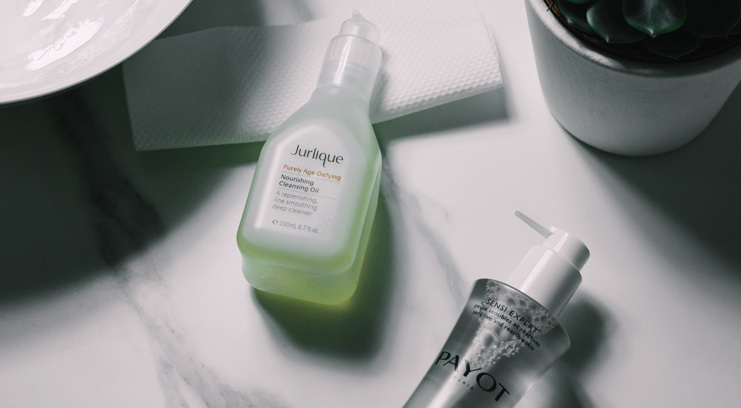 For an easy face-washing win simply add an oil cleanser into your nightly skincare routine. When massaged over the face (which in itself aids lymphatic drainage and detoxification), the natural oils in the cleanser will work fast to lift away stubborn, hard-wearing makeup (even from around the eyes) and excess sebum without clogging pores or stripping the skin. If you suffer with combination or oily skin, don’t be discouraged, becuase, whilst the thought of adding extra oil into the mix seems counterintuitive, it will actually help to balance out skin’s sebum production. Jurlique’s Purely Age Defying Nourishing Cleansing Oil, boasts a blend of botanical antioxidants and natural oils to effectively cleanse whilst protecting skin. The lightweight oil-slip texture makes working it into the skin a breeze, and on contact with water, emulsifies into a milky cleanser for easy rinsing. 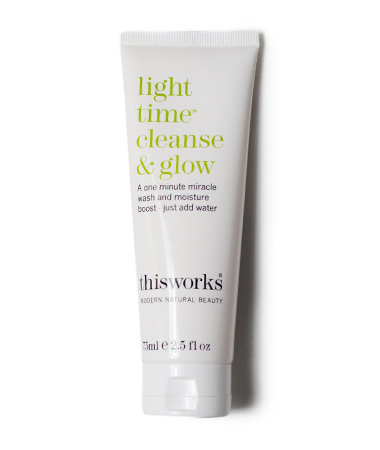 Once all residual oils and makeup are rinsed away, your second cleanse (which actually cleanses the skin) can be more targeted to your concerns. . . Proper cleansing is your first defence when battling hormonal, temperamental or simply changeable twenties skin. Whilst it’s tempting to feel the need to over-cleanse skin that feels oily, what you actually need is to clarify skin pore-deep without stripping away the natural lipid (oil) barrier. Removing too much of this will force skin to produce even more sebum, which can then lead to even more breakouts. So break the cycle and look for products that boast spot-clearing Alpha-Hydroxy Acids (AHAs), purifying clays and Salicylic Acids. 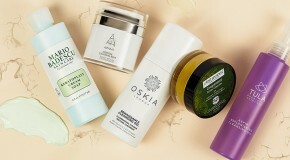 Cleanse gently in the morning (skin detoxes at night, so you still need to wash your face, albeit lightly) and at night, after removing all remnants of makeup and grime using an oil-based cleanser, choose a targeted treatment cleanser to take down any inflammation and combat blemish-forming bacteria. 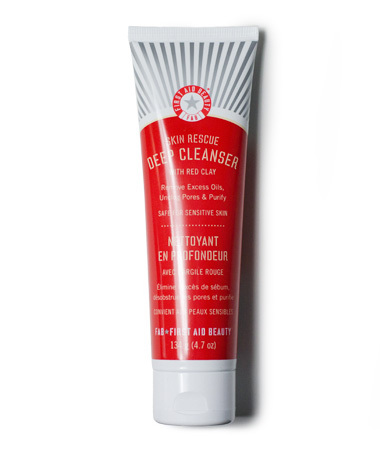 FAB’s Skin Rescue Deep Cleanser is a suitably-lightly foaming gel that uses red clay to draw toxins out of the skin, absorbing impurities whilst controlling the production of excess oils and minimising breakouts. All this without further stripping the skin or causing dryness. 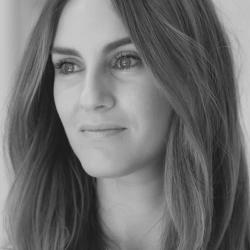 Come your thirties, skin should be at its most resilient, strong and naturally supported. Whilst reveling in a calm and collected complexion, don’t forget to rev up your skin cell turnover because at this age skin can quickly start to lose its glow, becoming dull and listless. Whilst your daily cleanser can be determined by the textures and formulas that suit your lifestyle (read frothy foamers for wash-on-wash-off speed or creamy, buff-away cleansers when you want a little more luxe), by adding an acid-based exfoliating cleanser into the mix a couple of times a week, you’ll lift away any stubborn old cells to unearth a brighter, fresher face. 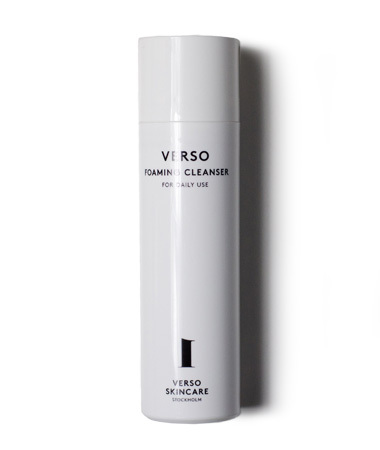 For day-to-day purifying, we love this super-light and fresh-feeling foaming cleanser from Verso which melts away makeup, wicks away impurities and prepares skin for the next phase of your skincare routine. Signs of fatigue by way of weary, dull and lacklustre skin are all the more noticeable come your forties, which is why switching to a cleanser fortified with antioxidants, vitamins and gentle exfoliants will help to boost and brighten your face. Look for a formulation that will readily lift away any dead skin cells, boost collagen production and soothe any skin sensitivities. This Works’ Vitamin C-powered liquid balm is the ultimate fast-acting morning cleanser. With super-fine buffing beads set within a lightweight formula, when activated with water the Vitamin C brightens and revives dulled skin whilst the soft texture ensures skin is gently hydrated and plumped. As skin in your fifties tends to be drier and more reactive than it may have been in younger years, moving away from the daily use of frothing gels or exfoliating cleansers will help to maintain a supple and hydarated skin tone. Switch instead to multi-purpose creamy cleansers that will offer more than just the stripping away of dirt, grime and pollution, to enrich skin with extra nutrients and soothe any sensitivities. The Alpha-H Balancing Cleanser does just this. A gentle non-foamy cleanser, free from any drying SLS’s, it leaves skin spotlessly clean whilst the addition of Aloe Vera works to soften and soothe and the antioxidant Vitamin E hydrates and protects from ageing environmental aggressors. 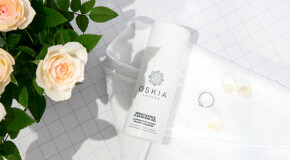 As mature skin’s moisture levels lower and the naturally protective barrier that supports healthy skin begins to weaken, even the most gentle frothy, foaming cleansers can start to irritate and cause discomfort. So look to milky and oil-based textures that promise a pore-deep clean whilst maintaining much-needed hydration. Avoid causing further disturbance by rinsing with tepid water, as opposed to hot which will dehydrate skin further, and pat dry with a muslin cloth – rather than rubbing. 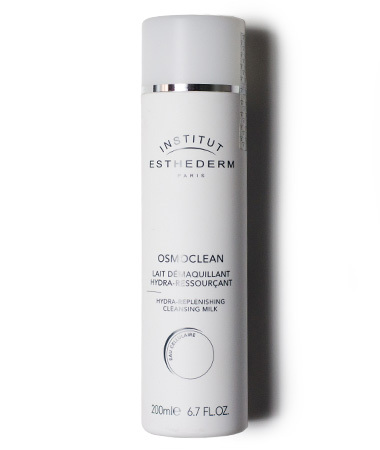 Try Institut Esthederms’ super soft, cosseting formula which blends a silken cleansing milk with a lipid-supporting moisturiser to leave skin clean yet comforted. Enriched with coconut, palm and almond plant oils, it nourishes and soothes skin without leaving behind any grime.